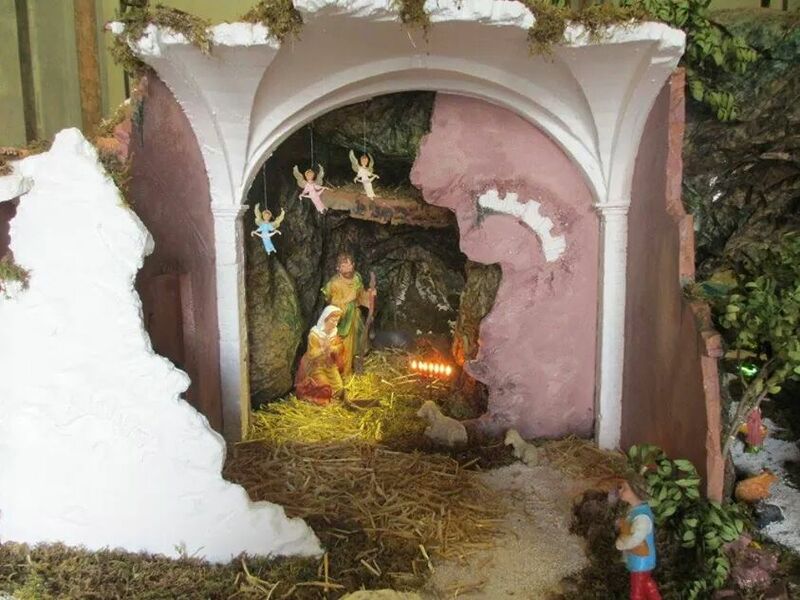 Wondering through the towns and cities a few days before Christmas and you can not fail to notice the beautiful, and quite often, very impressive ‘Presepe’ or Nativity scenes. Each year seems to be more and more elaborate, and the attention to detail is paramount. But the Italian Nativity scenes doesn’t just features a manger with Mary, Joseph, baby Jesus and the three wise men. They invariably feature a working village depicting the traditional way of life: people buying and selling local goods, men crafting articles out of wood or metal, children playing, and animals roaming in streets. But there is one thing missing, baby Jesus. He, of course, is not part of the scene until the stroke of midnight on Christmas Eve. When, after midnight Mass, he is ceremonially placed in his crib. 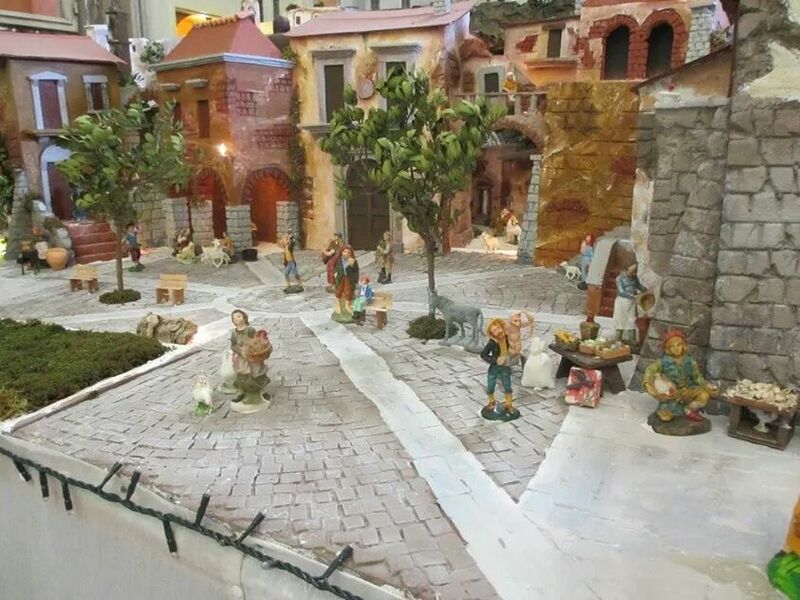 The tradition of Nativity Scenes dates back to the 13th century, when in 1223, Francis of Assisi created a live Nativity scene in Greccio, Italy with real people and animals, as part of the midnight Mass. During this event, there were claims of miracles and healings, and thus the tradition of reenacting the nativity spread. Live Nativities are still prevalent in Italy today and if you get the chance to see one, you must seize the moment! It is a real humbling experience, even if you are not particularly religious. 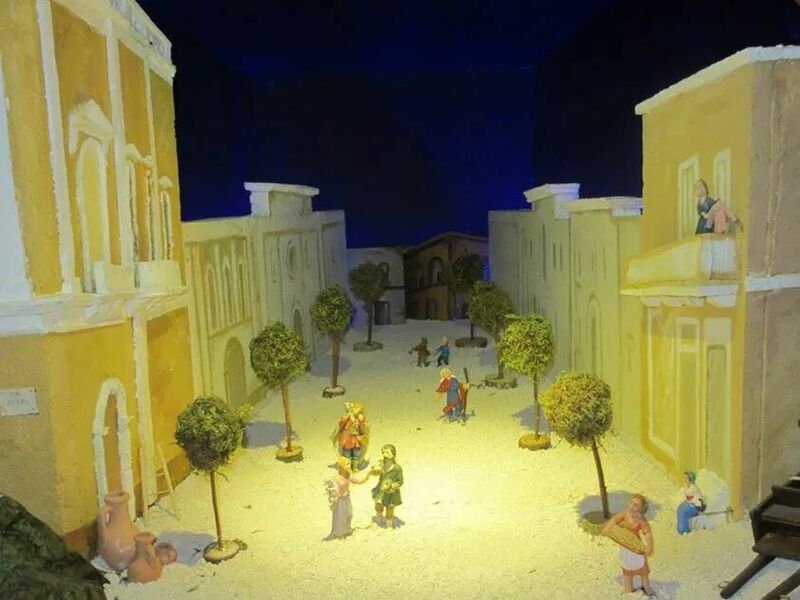 Here are some more pictures of the Nativity scene in San Vito Dei Normanni, Puglia, Italy. 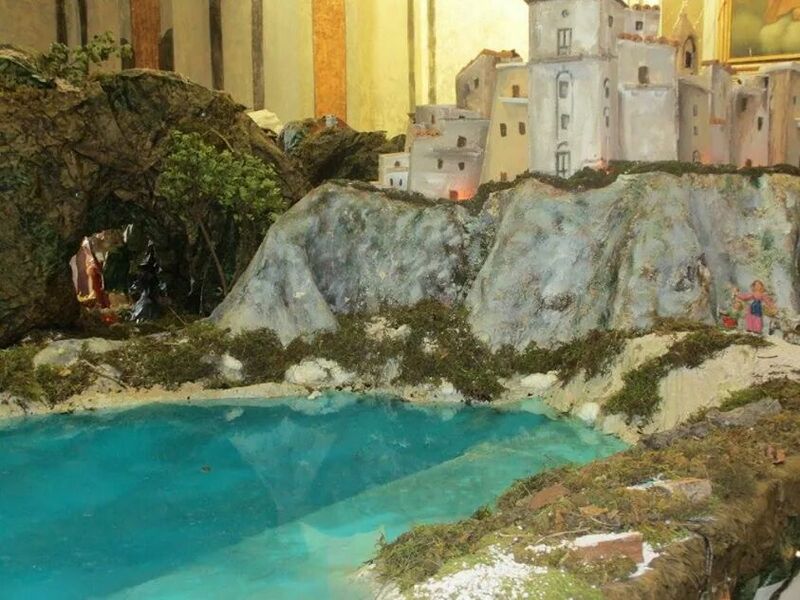 Amazingly, these pictures are all from the same ‘Presepe’…. Unfortunately, I wasn’t able to capture the whole village scene, so here is just a snippet!